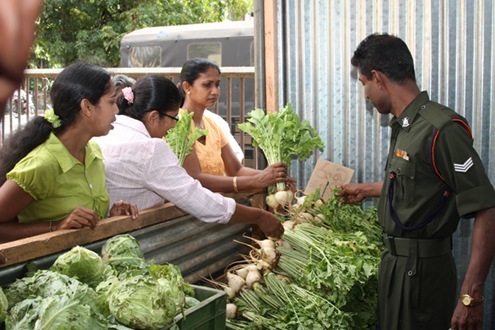 In Sri Lanka, Army has started selling vegetables from January 07, 2011 to the public to control price rise. How ? Army buys vegetables directly from farmers and sells directly through their outlets in Colombo without involving any middle men. 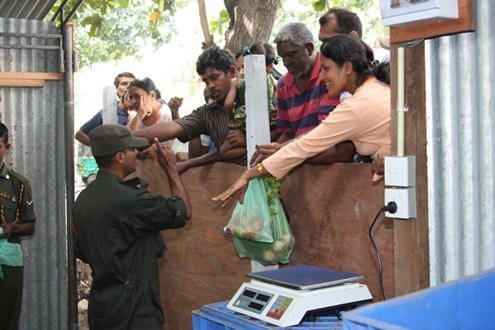 Here are some photographs showing sale of vegetables by the Sri Lanka Army (released by Ministry of Defence, Sri Lanka). Read more from Ministry of Defence, Sri Lanka. In contrast, throughout India vegetable (including onion, tomato) prices are high. But what is being done to control the price rise ? good post ! India has a lot to learn from her neighbours !